From the cellar: For Thanksgiving I thought an interesting white was in order. Braised pork shoulder in leeks, carrots, onions, dried apricots. This would have been Riesling’s time to shine but my cellar is not so well-stocked. 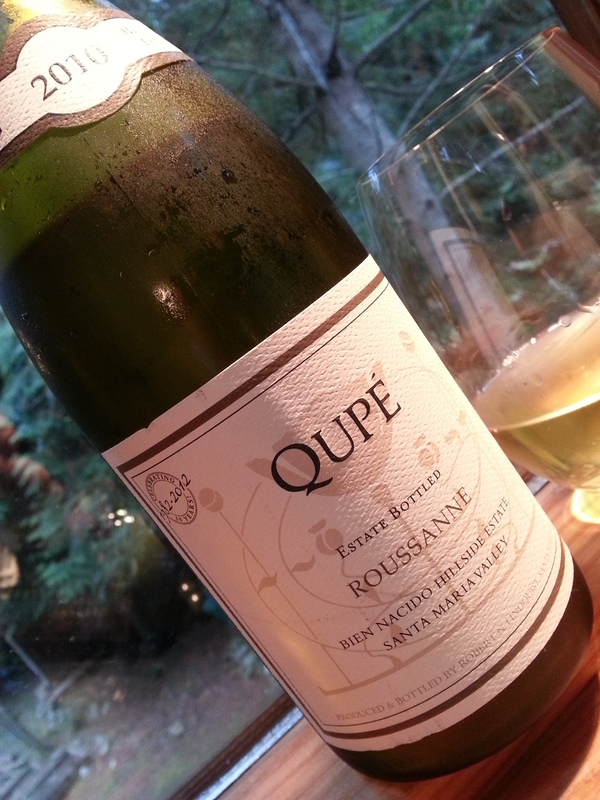 We had a gifted prestigious Rhone varietal from the always interesting Qupé. A lot to ponder: Pronounced minerality and citrus (grapefruit, lemon, pith), Chinese gooseberries, layered in a not completely harmonious balance, then followed by a woody, herbaceous finish. A ludicrously long finish, soft and elegant with none of the pungency on the attack. Finally, on the palate, an uneven lingering intensity, like the air in damp woods. Probably a major accomplishment for a major-general varietal, but there was something strident and cryptic in this wine that, ultimately, left us wanting. The pork however, ooh-la-la. Price: Gifted but online $40 at the vineyard. Market Liquidity: Karl Popper was brilliant but impenetrable in print. The last Montage we had was a 2008 I found tucked away in the “cellar.” Nectar from the gods; so nice I reviewed it twice. 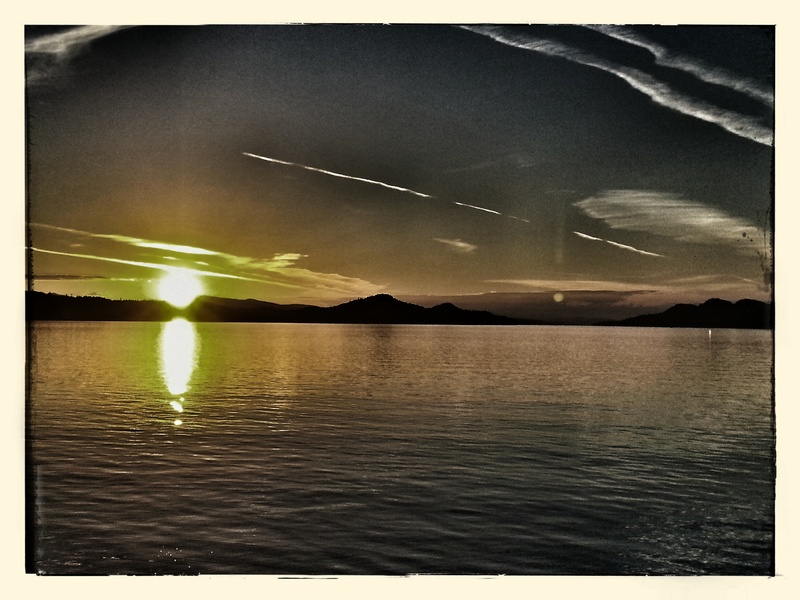 To say the expectations were high for a more recent vintage was the understatement of our holiday weekend. The 11 did not sustain the affair. Sad to say, we have gone our separate ways. It drank simpler, harsher, and with a sour note that was food unfriendly, even with braised vegetables, mild cheese and cured meats. Truthfully, we would have been better off with their always reliable Chardonnay. 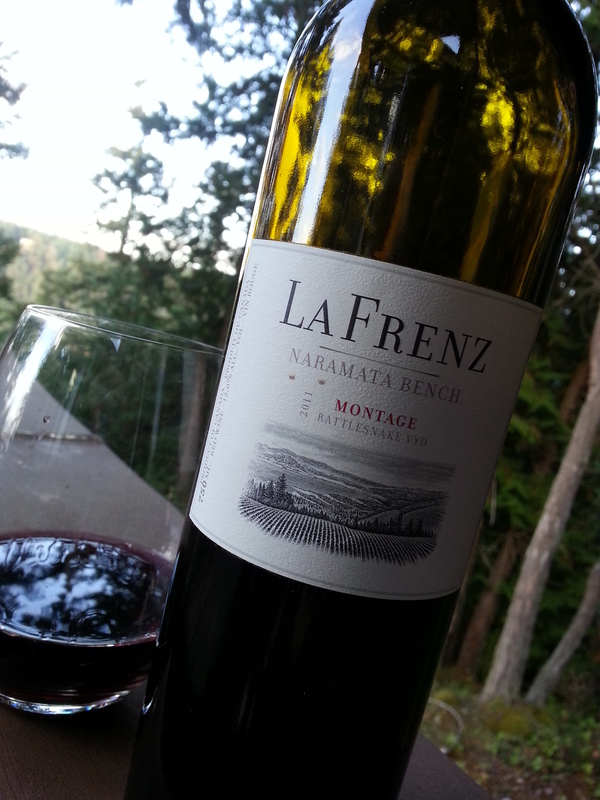 La Frenz is a non-VQA winery that is worth at least a case, year after year, and rarely disappoints. Although not every bottle is stellar they are almost always satisfying, which, pretty much, is all the average person is looking for in a wine. I don’t want to rain on the parade, but in a way it kind of saddened us to have a bomb. Price: From the vineyard, $22. Market Liquidity: It was swell while it lasted. 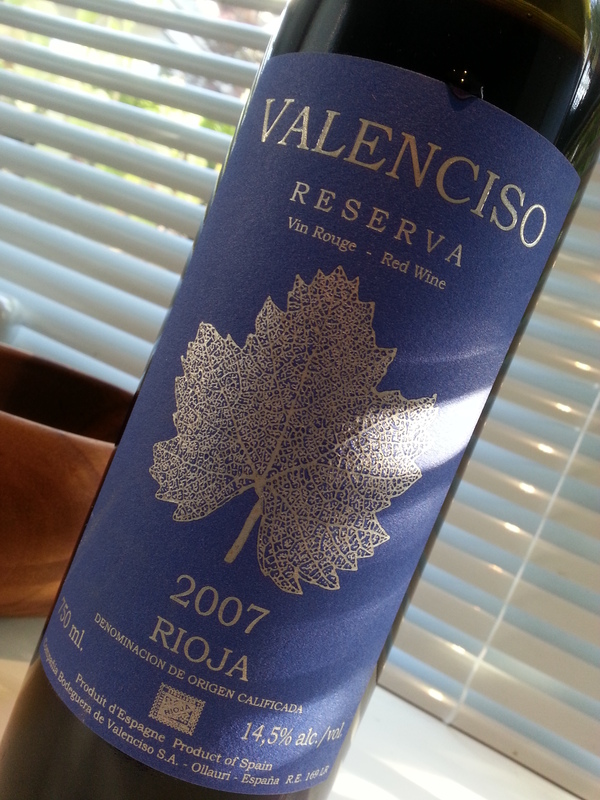 In a trio of Tempranillo’s we quaffed a few weeks back this took the prize. True, the Moraqona La Duna was better value, but this had an astounding wow factor that really lends itself to impressing guests. Deep, dark, ruby red, with luscious notes of spice (cinnamon, mace), cherry, the smell of an old wood cabin. Light with the fruit, dark with the tannins. Sheer pleasure. Although I will tell you one thing: It wasn’t as food friendly as the $17 La Duna. Funny. But rather than belabor the superlatives, if you need some fireworks for the holiday season, and don’t mind parting with double what I like to spend on a bottle, get a case. Or two. Price: An unfortunate $40 but readily available at BC Liquor. A little piquant and not in a good way. And that, my friends, is me scraping the barrel for something critical. Who can complain at this price point? 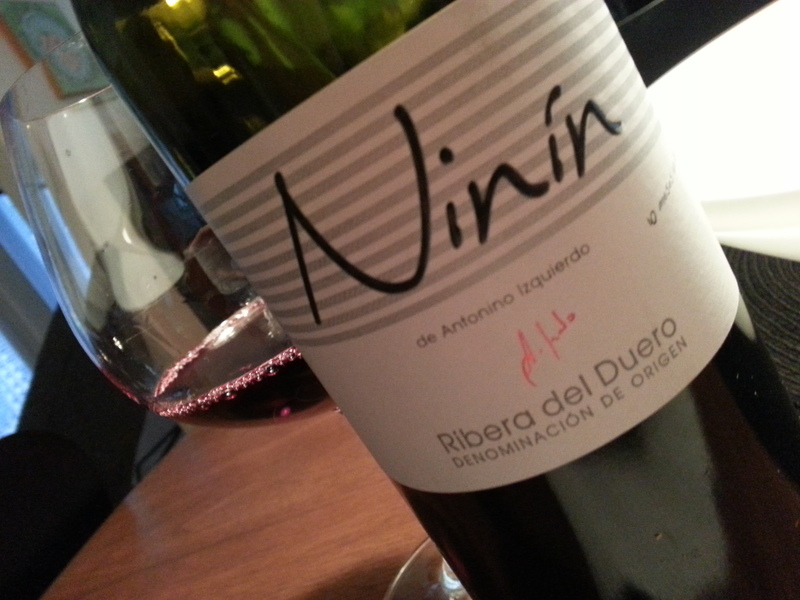 This evocative Tempranillo is an astonishingly good value. Amazingly good value. $17 at the Ontario liquor store. Wonders never cease. Big, broad, brash. Fruity, smoky, elegant. A weird clash of good and bad wine words the pros use. So little to complain about, so much to enjoy. Absolutely lovely. Did I mention $3 change for a $20? Unheard of in BC. Price: $16.95 in Toronto at LLBO stores.